Yes! Go there now. I personally shop ideeli.com daily and have made several purchases. I’ve been pleased with each one. 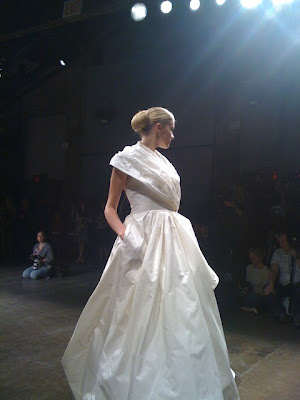 Occasionally I’ve seen bridal gowns, but last week, they announced a Ready, Set, WED! event which begins today. I often see items appropriate for weddings: cocktail attire, dresses appropriate for your reception, TONS of shoes. Be sure to check them out today. You need a membership (free) and you can get one here. I bought these shoes last month for less than 50% of the retail price. These would be beautiful under a white wedding dress. I bought this Tadashi Shoji gown in November for a stunning low price of $399, regularly priced over $1000. Tadashi Shoji is my all time favorite gown designer. Perfect for black tie weddings and semi formal events. Go visit ideeli.com right away. You’ll be pleased with the selection, the price and their return policy.